This image is 95% hand painted in Corel Painter using a Wacom Intuos tablet. 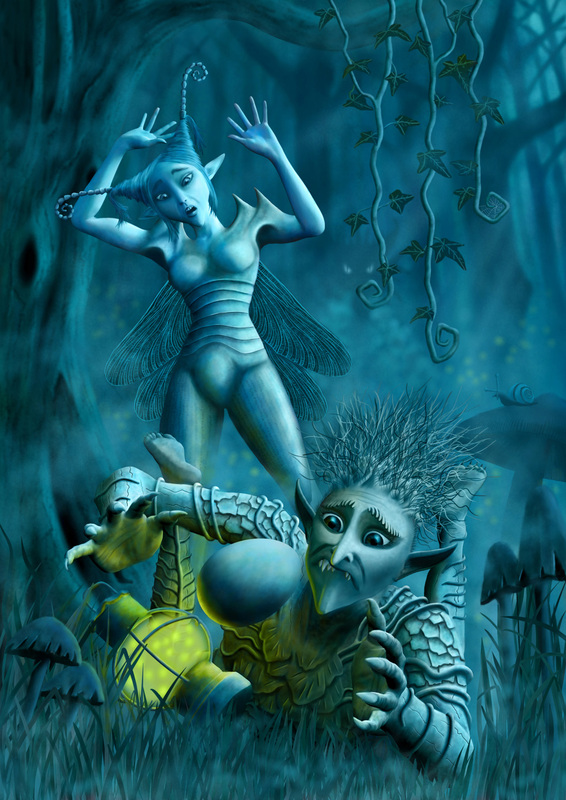 The figures were originally conceived in Poser 7 using morphs. However, I only rendered some very basic bare figures as a guide and all the figure detail is 100% overpainted and pretty much nothing of the original renders remain. I used various charcoal, acrylic, air and oil brushes in Painter, though the majority was done with a soft charcoal brush and various blenders. The orginal image is 3500 x 5000 pixels and so is suitable for high resolution printing. Prints of this image are availale at sizes up to A2, printed professionally on archival quality paper for maximum quality and longevity.